If you’ve been in the software development world over past few years, you can’t avoid noticing that React js popularity continues its rising insanely. 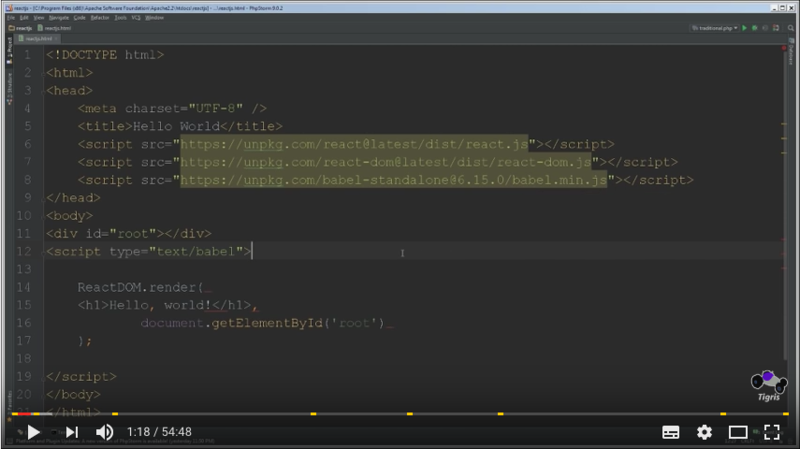 It’s totally not magnify to say that learning React.js is almost a must. 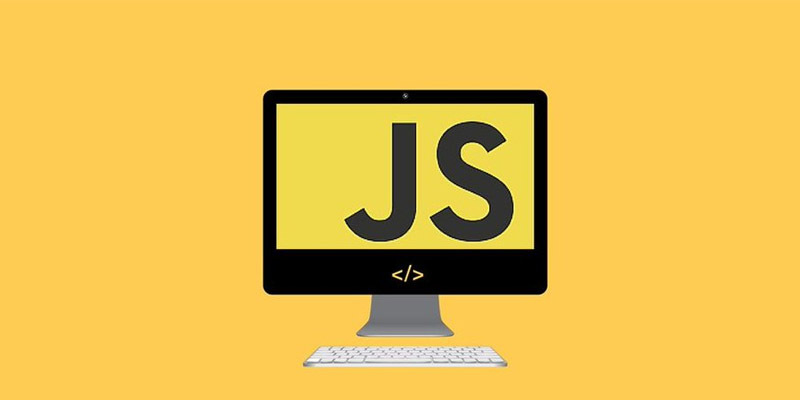 Nonetheless, with hundreds of free React js resources out there, you might pull your hair out to make decision which one you should get your feet wet with. 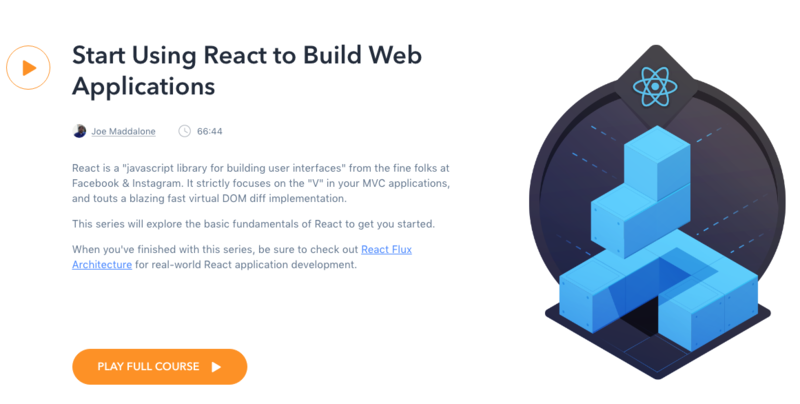 Covering all the basics including MVC architecture and the very foundational structure of React js applications, this React Crash Course video is your best bet. 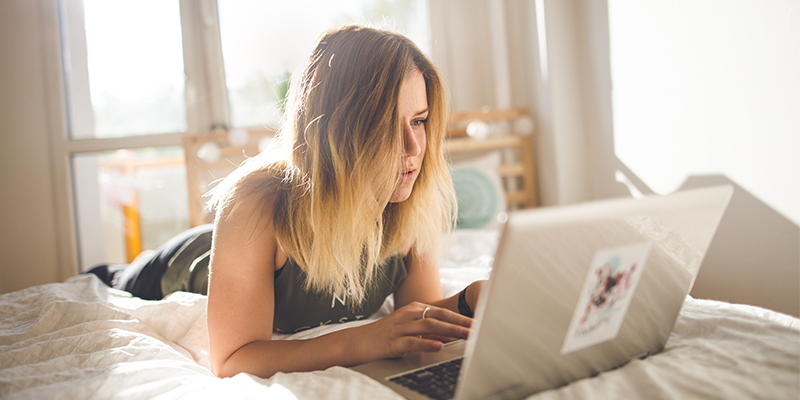 Even though it’s not a complete guide, but I think it’s a solid introduction to the library that can help you shorten the time you will take to learn this awesome technology. 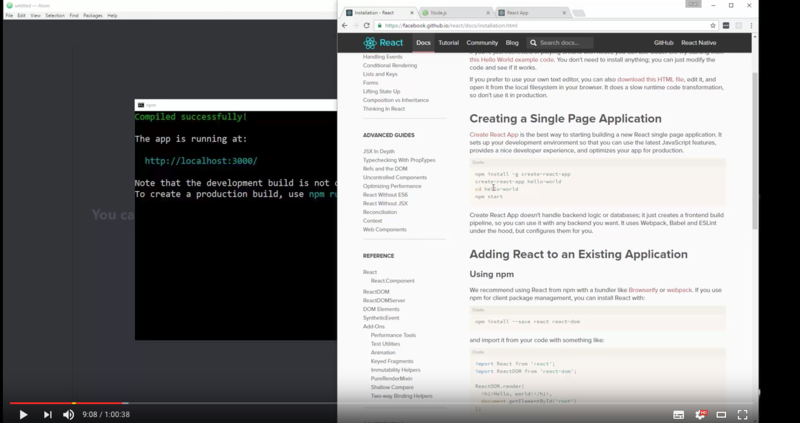 Another YouTube video that I want to share with you is React js for Beginners by Dev Tigris. 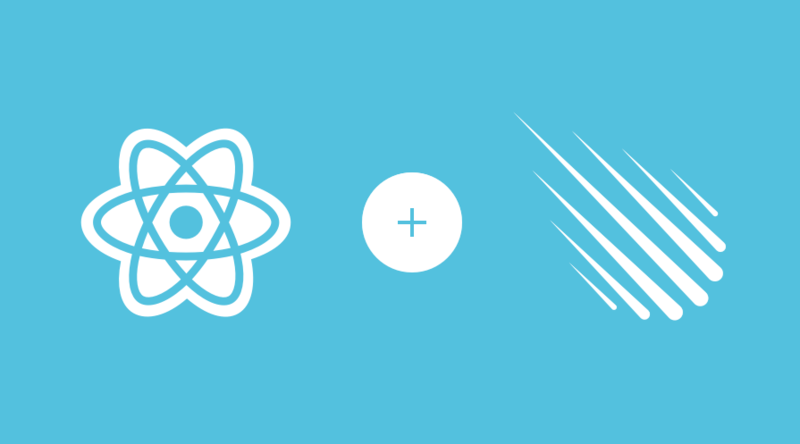 Did I mention React.js is the super hero standing behind and powering Facebook user interface? Yes, it is. Awesome, right? Therefore, if you are looking for free React resources, you can’t not avoid mentioning the Facebook documentation. It takes time and effort to work through these doc since there’s a lot of knowledge you need to absorb. But at the end of the day you will realize that it’s definitely worthy to try. On the other hand, from all resources I saw, this tutorial is still one of my best resources to learn the basics of React js. 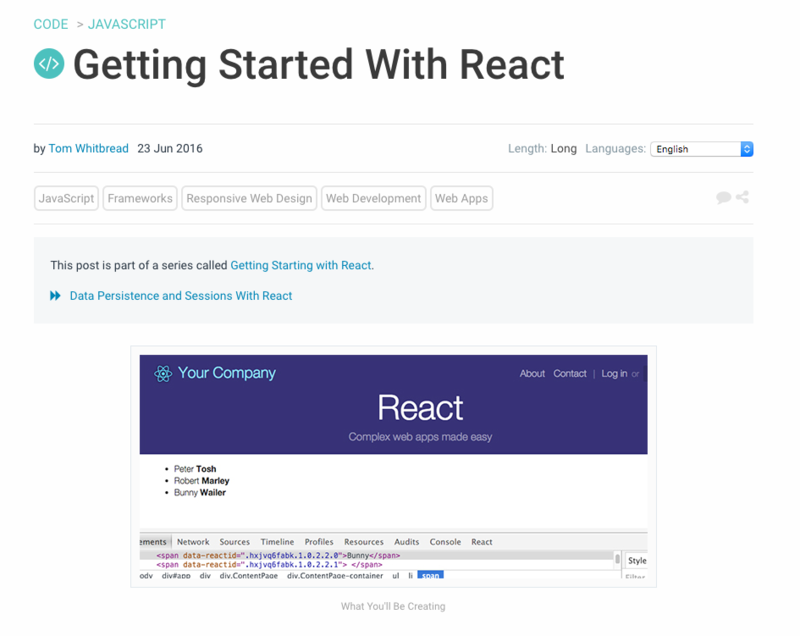 If you are a beginner in React js and want a solid start in a short time, then it’s a good fit for you. 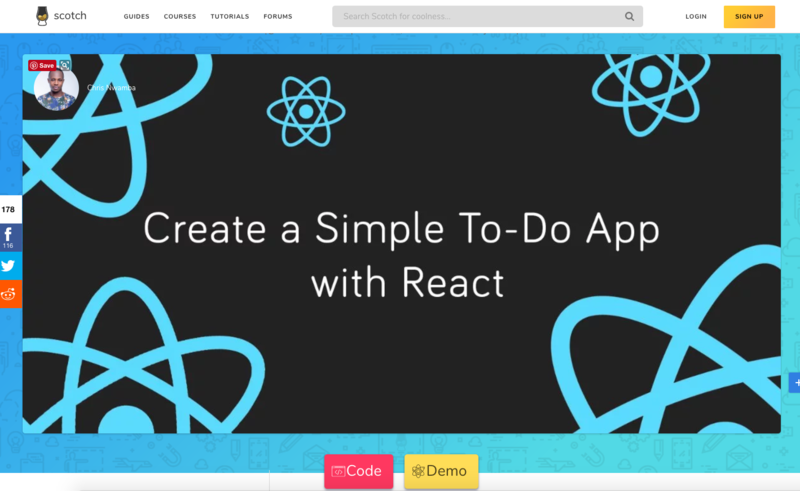 It’s one of dozens of React js tutorials on Scotch.io. In my opinion, this simple to-do app is totally stand out from the crowd. This website is clean and extremely easy to navigate, using symbols, lists and a simple grid to lead to you the desired information. Moreover, this guide is frequently updated with new information. I have to admit that every tutorial on the TutsPlus site is very extraordinary. 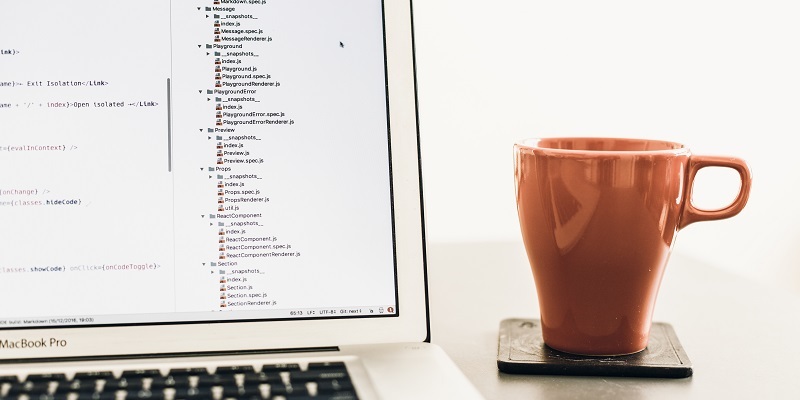 Covering endless articles from basic to more advanced functions for any skill levels, The Tusplus React category will help you really get to grips with the knowledge of React js. 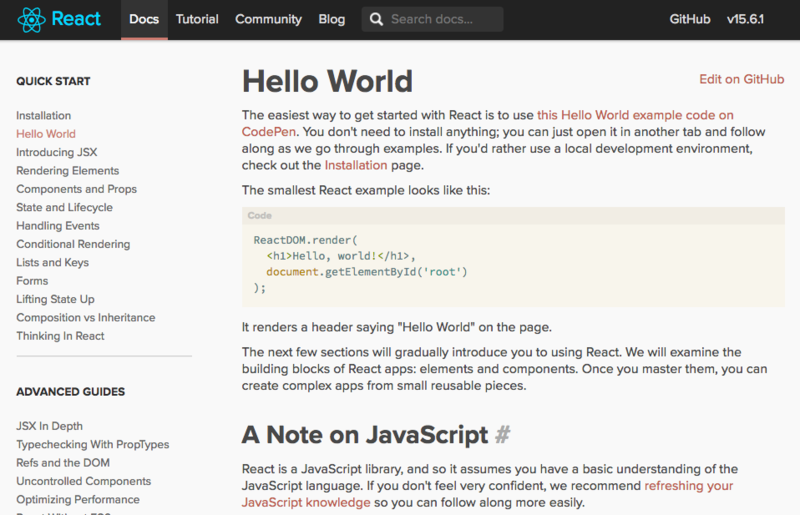 If you’re new to the React world, I recommend you to give Getting Started With React a try. I promise it won’t let your down. 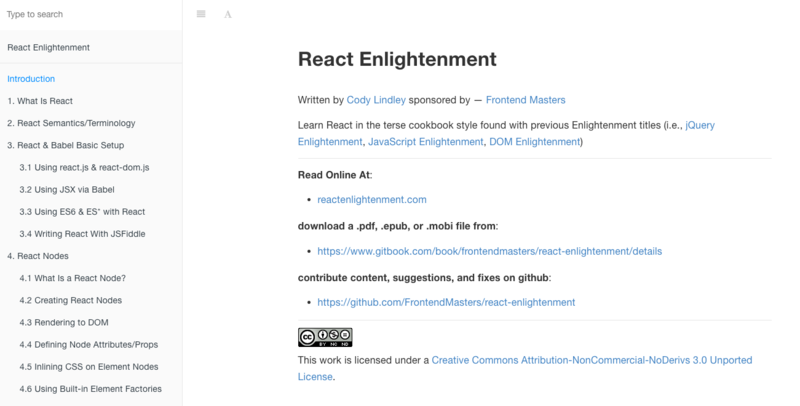 There’s a ton of free beginner React js tutorials out there for you to choose and they will help you gain a solid understanding of React. This is my favorite list.